My publications are also indexed in orcid, CLoK, scopus, dblp, research gate, academia, and google scholar. Nearchos Paspallis, Panayiotis Andreou, Alberto Bullo, Design and Evaluation of a Gamification-based Information System for Improving Student Attendance, In B. Andersson, B. Johansson, S. Carlsson, C. Barry, M. Lang, H. Linger, & C. Schneider (Eds. ), Designing Digitalization (ISD2018 Proceedings), Lund, Sweden: Lund University. ISBN: 978-91-7753-876-9. Eliana Stavrou, Nearchos Paspallis, A classification platform for security protocols in WSNs, In N. Paspallis, M. Raspopoulos, C. Barry, M. Lang, H. Linger, & C. Schneider (Eds. ), Information Systems Development: Advances in Methods, Tools and Management (ISD2017 Proceedings). 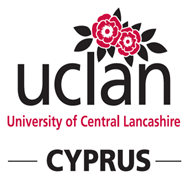 Larnaca, Cyprus: University of Central Lancashire Cyprus. ISBN: 978-9963-2288-3-6.